﻿In preparation for Dairy Month, established in 1937 in the United States by the National Dairy Council to increase demand for dairy products in June, I skipped around the Internet looking at food history sites. I found that food history is really cultural history and provides a multidisciplinary approach to understanding the past that includes economics, sociology, science and demography — even literature and art. At this point you might be wondering why bother? If we get Raptured tonight, as predicted, just get a glass, go to the frig, drink milk as needed until you ascend. To further help us prepare, the good folks at the Wisconsin Milk Marketing Board sent a nifty press kit with photos and recipes and — being an info junkie — I couldn’t resist checking it out, following my nose to yogurt, and deciding to share some of what I found with you, recipes included, but not scripture. 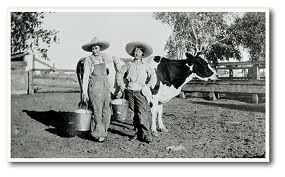 Historians say the ancient Turks, who lived as nomads, made the first yogurt. Probably squeezed some poor nanny goat’s udders, left the milk gourd in the sun, yogurt. Voile! The first Turkish name for this product appeared in the eighth century as “yoghurut,’” and the name was subsequently changed in the eleventh century to its present spelling, which makes it a pretty old word. In shallow bowl, combine yogurt, eggs and vanilla with a spoon; mix well. In large nonstick skillet, melt 1 tablespoon butter over medium-high heat. Dip bread into yogurt batter and place in heated skillet. Repeat until skillet is filled with a single layer of bread slices. Cook until golden, 2 to 3 minutes, then flip and cook an additional 2 to 3 minutes. Remove to platter and keep warm. 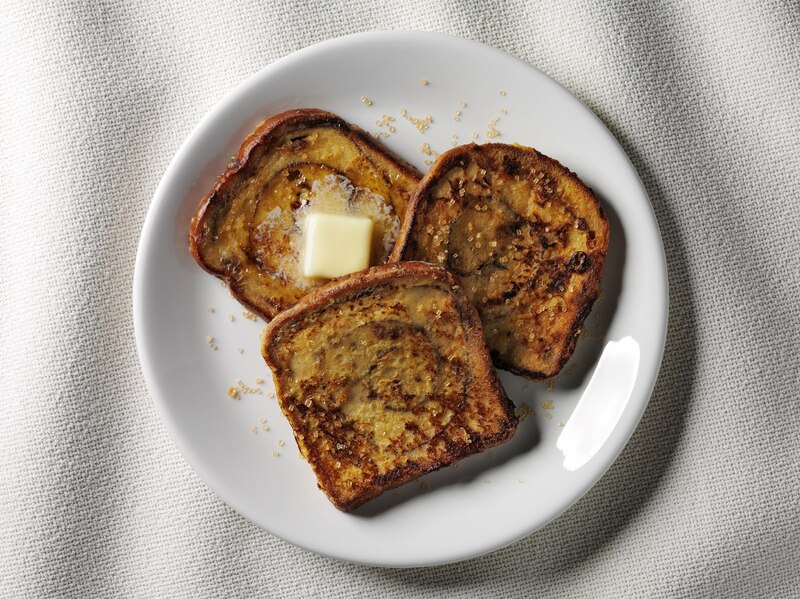 Melt another tablespoon of butter in the skillet, and repeat until all slices are cooked. Sprinkle slices with sugar and serve warm. In small bowl, mix yogurt, garlic, lime juice and ginger. Cover and refrigerate at least 30 minutes or up to 2 days. 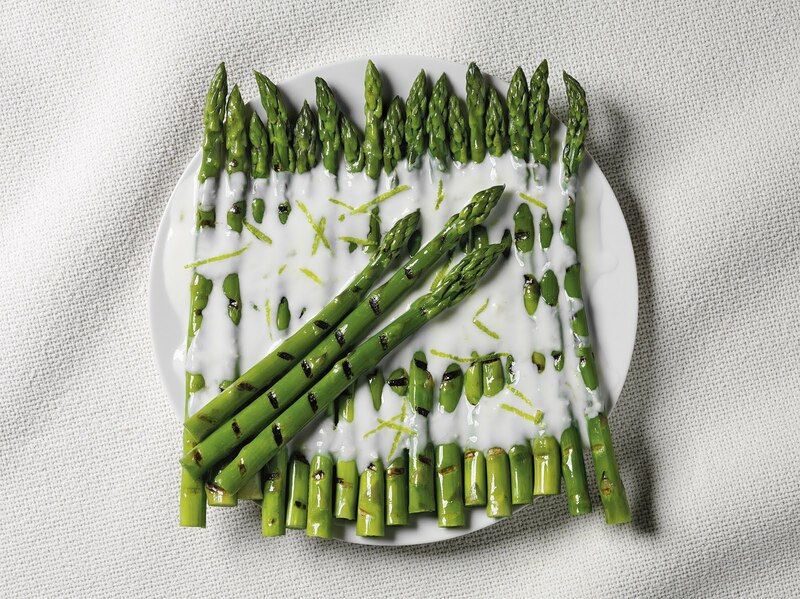 To serve: drizzle garlic lime yogurt sauce over top of your favorite grilled vegetables, such as asparagus or zucchini. Place all ingredients in blender and blend until smooth. Serve immediately, or cover and refrigerate for up to 4 days. 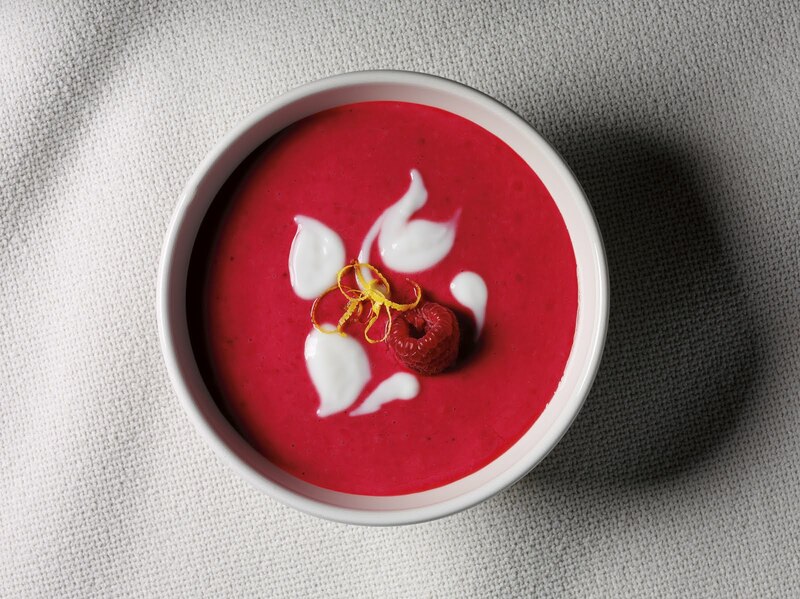 Garnish with additional yogurt and raspberries, if desired. Hope you enjoy these taste treats. And, remember that the 1937 Dairy Month event was given the theme “Keep Youthful – Drink Milk.” My theme for this year’s celebration: “Be an angel, eat yogurt.” See you in the garden! P.S. Got a favorite recipe that includes yogurt? Why not share it in the comment section? The WG is getting visitors from all over the world, how about a global recipe exchange?